The Rainbow Room restaurant at Amanvana Spa Resort, Coorg, gets its name as copious guests have spotted rainbows during their dining at our resort in Coorg. Our restaurant offers tantalising recipes that please your palates. 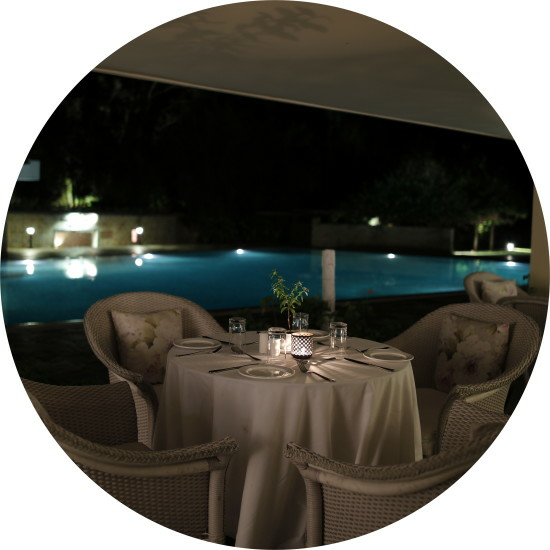 As you dine, enjoy mesmerising views of River Kaveri in the distance. The swimming pool, with its sparkling water cascade, the fireplace, and the bar, are nestled near River Kaveri and make the restaurant, one of the best places to eat in Coorg. The Rainbow Room is indeed one of the best restaurants in Coorg and is designed to give you a pleasing, memorable experience. And if you see a rainbow while you’re here, embrace yourself for the rare and beautiful sight! The restaurant - Rainbow Room, in our resort in Coorg, offers a variety of multi-cuisine specialties to cater to a range of tastes. In the morning, you can try a nutritious American breakfast or a combination of South and North Indian snacks. Lunch and dinner are sumptuous buffets, featuring exquisite Continental and Indian food. At our dining in resort, pandi curry is legendary. So are many of our other specialities like biryani, aloo kofta, and our homemade coconut halwa. Fancy an unusual cocktail? Your wish is the bartender’s command. Sit outside and sip a heady concoction, while gazing at the river at our best Coorg resorts. 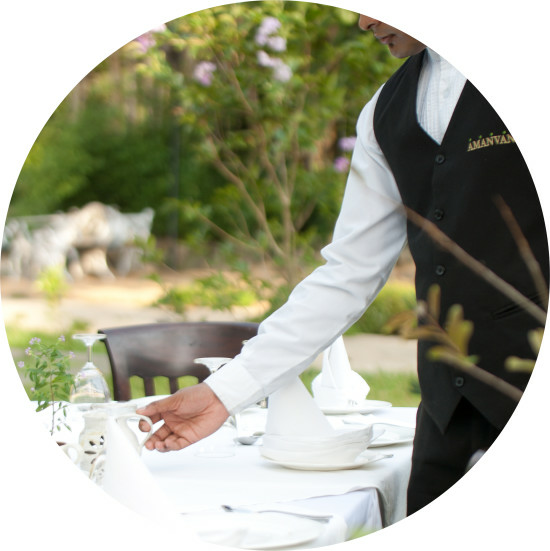 Our food adds to your experience of staying in a luxury resort in Coorg. Situated a little away from The Rainbow Room is the Coffee Hut - one of the best cafes in Coorg. Overlooking the River Kaveri, this quaint place is the ideal setting to sit, relax, and enjoy some of our fine, estate-brewed coffee. The hut is also stocked with beautiful hardcover books at the best Coorg resort. Crack open a book. Nurse a cup of exotic Coorg coffee. Watch sunlight playing on the river’s surface. For families that seek a little adventure, the picnic on the islands in Coorg promises to delight. The River Kaveri has many islands, situated around the resort. Our guide will accompany you on a tour to any one of them. We’ll offer you a picnic basket. 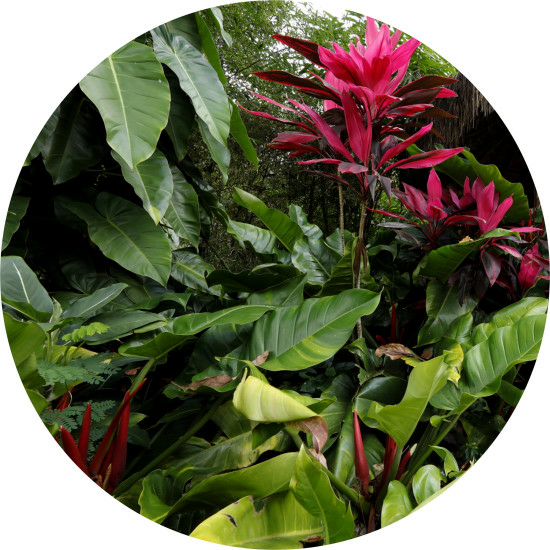 Explore the fauna and flora of the island. Bask in the sun. Create beautiful memories. The highlight of the F&B offerings at Amanvana Spa Resort, Coorg, is the riverside barbeque. Guests who have experienced it, never forget it. 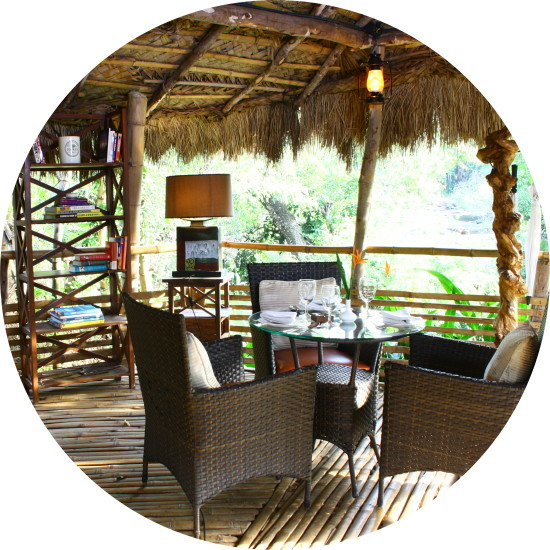 Choose to enjoy an exotic lunch or a romantic dinner at this exceptional restaurant in Coorg. Sit back, enjoy a delicious spread of kebabs, and immerse yourself in the beauty and serenity of the resort's surroundings. Click here to read more about what our other guests had to say.